When talking of guys’ hairstyles, the Justin Bieber hairstyle must be one of the first things that come to mind. The YouTube hit sensation has continually revolutionized his looks year after year with no signs of stopping anytime soon. Justin came to the music world like a shooting star in the sky. Unlike other wannabes, his is a legend of its own purely banking from his immense talent. After being recognized by Scooter Braun and launched to stardom with hit songs like One Time and Baby, it was only a matter of a few viral posts that made him a world famous celebrity. He was soon rubbing elbows with Usher and other popular names in the music industry. Like his living status, Justin’s fashion sense and hairstyle had also made some drastic changes over the years. His looks invariably transformed from a sweet-looking Canadian teen to the worldly man he is today. Over the years, Justin and his team had worked on creating a persona that is entirely his own. But hate him or love him, there is something appealing about him that made him garner millions of “Bieleber” across the globe and, these fans won’t hesitate to copy his style. To give you a glimpse on how this twenty-something pop icon has changed over the years, take a good look at this ultimate collection of Justin Bieber hairstyle over the years. Aside from the feather bowl cut, Justin also sported one of the most common yet hard-to-fetch hairstyle—the Classic Caesar. Low maintenance yet chic and sporty, the Caesar has always been a favorite hairstyle among many celebrities with, perhaps, Justin as the youngest of them all to rock it. A favorite in the 1990s, Justin bring back this sensational hairstyle with a huge teen following after sporting it in one of the many events he graced. This hairstyle is characterized with a short horizontally straight-cut fringe with the hair layered to around 1-2 inches all over. This is great on his straight textured hair though. The doe-eyed Canadian teen sensation started out as a fresh-looking guy sporting a bowl cut. No, this look definitely did not resemble that Mo of the Three Stooges but an entirely new hairstyle that certainly made the young sensation a hit among teens. This seemingly unique Justin Bieber hairstyle is actually a pretty straightforward cut. With his textured straight hair, his bowl cut is deconstructed to add some feathered layers right in the interior perfectly framing his face while highlighting his innocently smiling eyes. This is simply done via blow-drying and directing the hair to twirl around the head to give it an added interest. For years, this hairstyle is the go-to style of various celebrities, actors and singers alike. Justin’s very young face adds more charm to this particular cut that is strongly favored by army recruits, too. A great choice for a summer trim down or simply making a new switch to a rather forlorn look, there is little effort to be had to look as dignified yet badass on this particular haircut. The best thing about a buzz-cut is that it requires almost zero maintenance and can be pulled off with any type of outfits or fashion style you rock. For someone as young as him in 2010, this buzz cut is a definite yes as he starts having singing and guest-ing gigs right here and there. Bangs that swept across the forehead is an entirely unique Justin Bieber hairstyle. But do you know that this hairstyle has even ignited the interest of the cancer community of John Hopkins? According to experts, this particular hairstyle is one opportunity that teens can get sun protection. Facial skin when covered with bangs often is paler and has no sign of freckles. The less freckles one has, the less incidence of developing melanoma or skin cancer in adults. This only proves that the teen heartthrob and internet sensation did not only provide great entertainment to his fandom but also a way for them to be healthy. Some call it messed up look while others coin it as the “let it grow” hairstyle. Sported by other famous celebrities like Brad Pitt and Ashton Kutcher, Justin had also rocked this hairstyle. This is quite a hard hairstyle to achieve as hair has the tendency to grow unruly and usually takes time. But once this messy mane is set up, it can prove to be low in terms of maintenance and, if you are a celebrity, a good cover, too, when out and about ditching nosy paparazzi. Today, the Justin Bieber hairstyle goes mainstream– that is, hipster we mean. For young men looking for that certain edgy feel this mainstream hipster cut works perfectly well for men of all ages. This is a perfect cut for someone who is transitioning from a teen heartthrob to a more matured look. But definitely, this one commands attention. 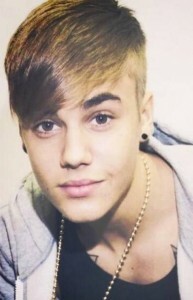 Definitely, this is one hairstyle that Justin can rock.